I would never think of going to a website for information about health services, but in this case you may have made a good decision. Cary Audiology is decidedly the place to go. The entire group is focused on the goal of helping you hear well. To lose hearing is a scary thing and these folks know the fears as well as the solution. I have never doubted that they are the best in the area since I first began to go to Susan Rawls years ago. 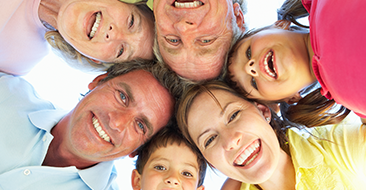 Cary Audiology knows how health care should be addressed. -Jane H.
I love to go to my doctor! I cannot say that about many doctors’ appointments but going to Cary Audiology is like visiting a good friend. They are so genuine, warm, and friendly. We share stories about our children and grandchildren, trips, and any news of interest in our lives. I recommend Cary Audiology to any of my friends who are having hearing difficulties. Audiology is not only Dr. Rawls’ profession but also her mission. She wants to give the gift of good hearing to all her patients. -Iris J. Three words come to mind at Cary Audiology: integrity, dedication, and service. 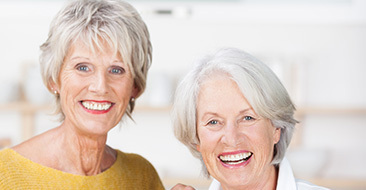 Cary Audiology strives to meet your needs and the service is excellent. I am one satisfied customer. Don’t leave your hearing to chance; you won’t miss out at Cary Audiology. -Richard B. Since visiting your office and working with you on my hearing problems, I have had an overwhelming urge to write this letter. I just wanted you and your staff to know how refreshing it is to visit your office and be treated like a human patient, not just another number. It is a delight to dial your telephone number and have a congenial, live person answer. The service you have given me in getting the correct hearing aids, getting them working properly, and making me feel comfortable with each step has been outstanding. There are many medical facilities in this city and across the nation that could take a lesson from you folks. You are to be commended for setting up and maintaining such a personalized medical practice. I have recommended your firm to several friends and will continue to do so. Thank you for all your efforts to give us the best service possible. -George S.
I am writing this note to let Cary Audiology Associates know how I really feel about my experience with the folks that work there and especially how much I enjoy my Oticon hearing aids. My first meeting with Cary Audiology was to explain how my hearing aids would work. I found the information easy to understand and the hearing test I experienced very interesting. 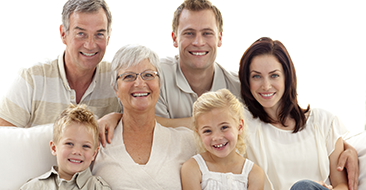 The wonderful thing about Cary Audiology is that you get to make your own decision on products. To this day, I am so glad that I decided to accept my hearing loss and to do something about it. My Oticon aids have given me a better quality of life and I wouldn’t be without them. My overall experience with Cary Audiology has been wonderful and life-changing. I look forward to stopping in and visiting when picking up my hearing aid batteries. I would highly recommend Cary Audiology to anyone who wants to have a better hearing experience and even better quality of life. -Michael G.
I am a patient of Cary Audiology Associates and I am extremely happy with both the quality of the hearing aids and the service provided to me. Everyone is friendly and they work hard to make sure I am receiving the best possible care. They work hard to accommodate my schedule for appointments. At one point, I inadvertently put my hearing aids in the washing machine. I was embarrassed to call them to let them know the aids were no longer working properly, but everyone was understanding and no one made me feel guilty or like I was the “dumbest person on the face of the earth.” I highly recommend Cary Audiology if you are having difficulty hearing well and feel as though you miss out on conversations. My hearing aids have improved the quality of my life significantly. -Maureen S.
For many years, I have been a patient of Dr. Rawls. The patient’s concerns and needs are her major focus. She listens, hears, cares, and then services. She is professionally trained and keeps abreast of the latest technology. Currently she is serving three friends that I have recommended to her. -Vivian H.